The beautiful Middle Rhine is the setting for your saga cruise. Sail past castles, fortresses and dramatic cliffs. Stop off to explore pretty wine towns and villages. Join optional excursions to Bonn, the vineyard-clad Ahr Valley and romantic Reichsburg Castle, among others. Either travel by coach from Folkestone, via Eurotunnel or ferry, or fly to Cologne and embark Rex Rheni. Cruise to Königswinter and moor for the night. Wake up in the pretty village of Königswinter and perhaps join an optional excursion to Bonn, the birthplace of Beethoven. Alternatively, you can choose to take the rack-rail train up to the ruins of the 12th-century Drachenfels Castle, where you can admire fantastic views. This afternoon you sail to Koblenz, passing dramatic scenery, the small island of Nonnenwerth and the ruined castle of Rolandsbogen. Your ship will pause in Remagen where you'll be able to see the remains of the old Ludendorff railway bridge. Perhaps join an optional excursion through the Ahr Valley, or stay aboard the ship as she sails on to Koblenz. Excursion participants rejoin the ship in Koblenz. Koblenz has a rich history spanning two millennia, and its past is reflected in a wealth of monuments and historic buildings. The city is situated at the exact point where the Rhine and Moselle meet, and the city's name means 'merging of the rivers'. Explore the city this morning, or perhaps visit the Festung Ehrenbreitstein, a citadel built by the Prussians between 1816 and 1832, on an optional excursion. Later, sail along the tranquil Moselle to Zell, savouring panoramic views of exquisite vineyards along the way. There'll be a short time to explore the picturesque wine town of Zell this morning, famous for its Schwarze Katz vineyard. The town's idyllic location on the Moselle encourages the vines to prosper. Mid-morning you'll leave for the picture-perfect town of Bernkastel-Kues, arguably one of the prettiest small towns in Germany. Bernkastel-Kues features colourful Renaissance houses which line the sloping market square with its 17th-century fountain. There will be free time to go ashore and explore the town at leisure. Early this morning, Rex Rheni will leave Bernkastel-Kues, and sail to Cochem. With the romantic backdrop of neo-Gothic Reichsburg Castle, Cochem is understandably one of the most visited places on the Moselle River. An optional excursion is available to the castle, which sits atop a hill cloaked entirely in vines. Although most of the castle was rebuilt in the 19th century, the original 11th-century keep still survives. You can also visit a local vineyard for a wine tasting. Sail for Koblenz this evening. 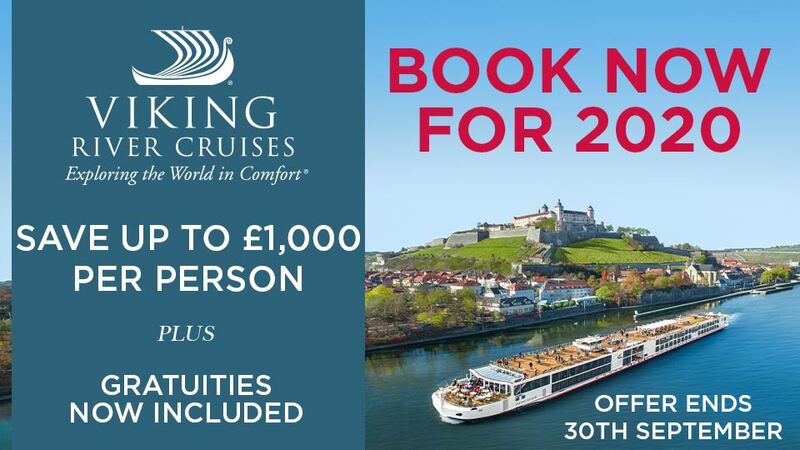 This morning, cruise the most stunning stretch of the Rhine, passing Lorelei Rock and numerous castles. The rock is a symbol of the Rhine and inspired a famous poem by Heinrich Heine, which was set to music by Frederich Silcher. Continue to Rüdesheim, where you can perhaps sample the famous wines of the region in the tavern-lined Drosselgasse, join an optional excursion to a winery for a tasting or visit Siegfried’s Museum of Mechanical Music on another optional outing. 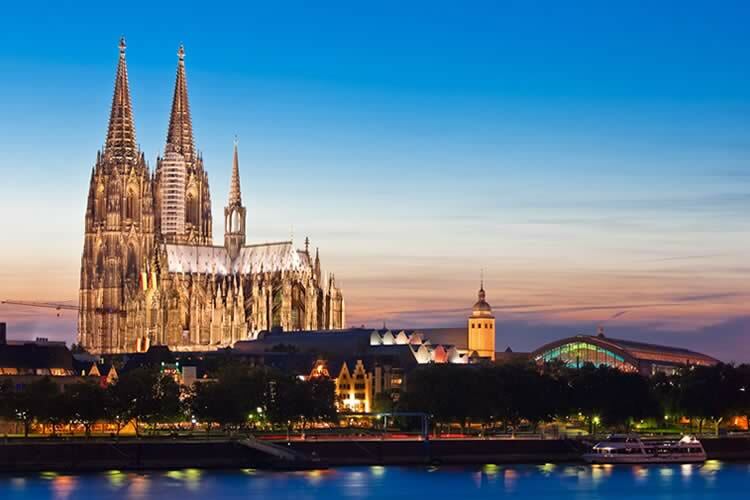 Return to Cologne and spend the afternoon at leisure exploring this attractive city, famous for its imposing cathedral and for giving its name to 'Eau de Cologne'! Disembark and return by coach to the UK. 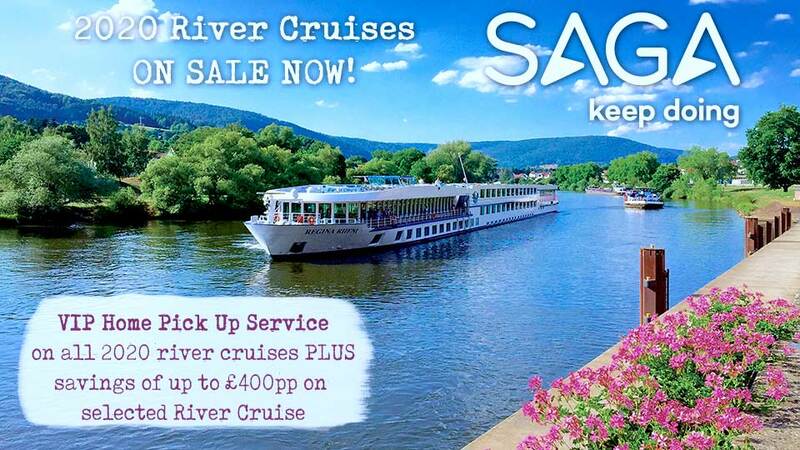 Save up to £250 per person in selected cabin grades!